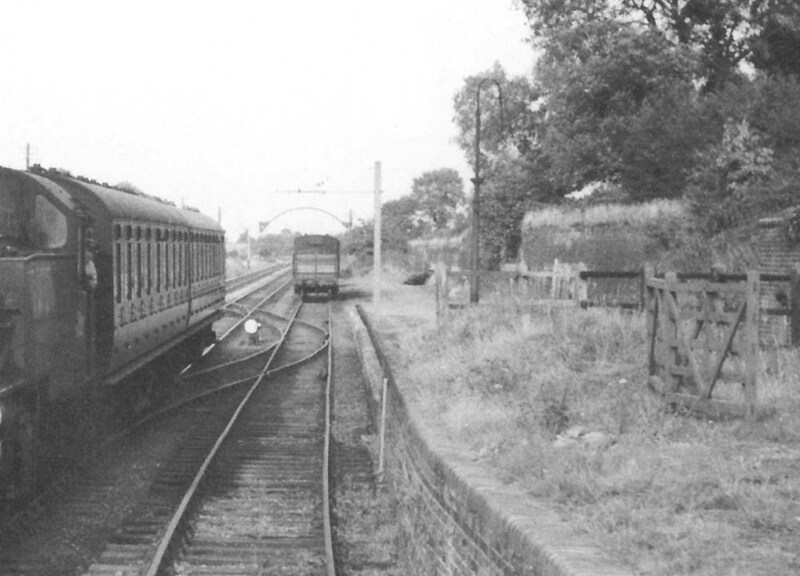 Close up of image 'lnwrdun1347' showing Dunchurch station's single siding with the cattle dock and fencing seen on the right. The siding is connected by turnouts which met midway along the siding allowing wagons to be positioned according to their load. Livestock and road vehicles being stables adjacent to the platform seen on the right and open and covered wagons beyond the loading gauge. Adjacent to the two turnouts is a 'disc' signal which had a red bar painted across its face. If in the horizontal position this meant that the signal was at danger. If the signal was inclined approximately 45° then the signal was in the 'clear' position and the train could depart the siding on to the main line.